A quirky vintage designed card holder wallet with fabric outer for those on the go and a gorgeous bicycle design. 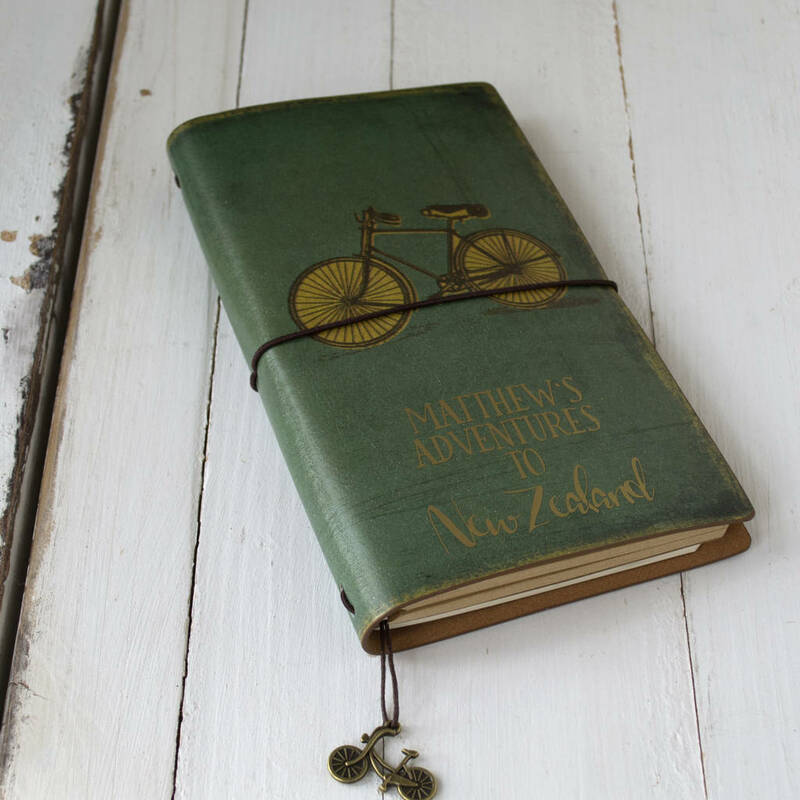 This fun bike notebook is perfect as a gift for men on the go, whether on trains, planes or to jot down and plan their adventures. With a bike design this book is perfect as a gift for boys and men. A great present for dads, grandads, uncles, sons, friends. It comes with vintage style paper, perfect for jotting-down ideas and thoughts, sketching plans and using to write a journal with. This notebook is practical as well as a great keepsake. 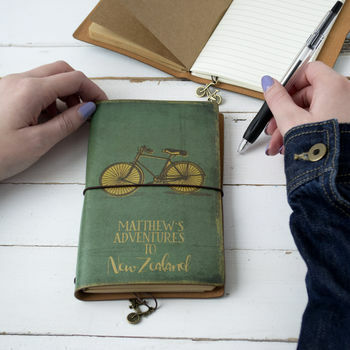 With its on-trend modern vintage feel this is ideal as a diary, for craft-lovers, thoughtful note takers and acts as the perfect jotter to be carried around by anyone with lots of ideas! It has an wrap around string hold with a bicycle charm. The option to personalise with a name and adventure destination.